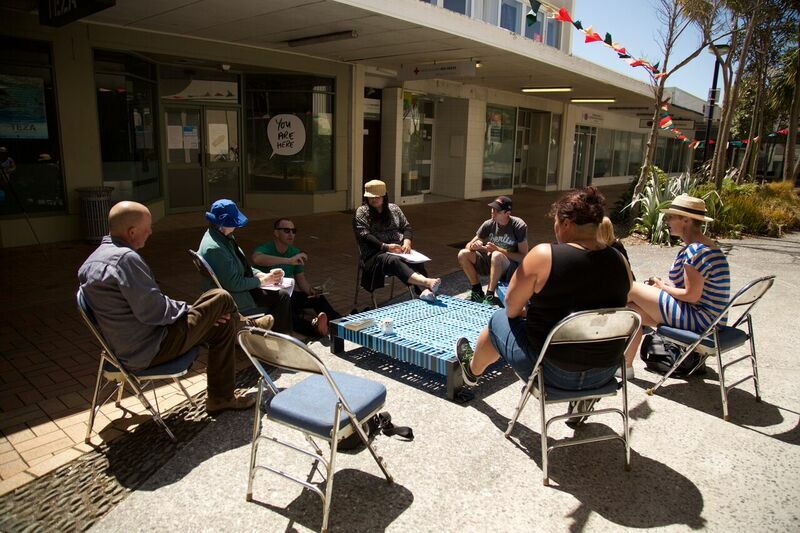 Sharemart is really starting to gain a community in Hartham Place with lots of people working in the space doing repairs to their clothing and looking to upcycle old NZ Post uniforms. A Porirua Guardians uniform (the lovely people who patrol the streets) was even repaired. A visitor Queenie has been working hard for two days straight remaking three blazers for her and her daughters. Kawika Aipa taught the basics of traditional Hawai’i healing and massage practice in the TEZA Hub for his Lomilomi workshop as part of Mai ngā kôrero ô neherā, e hui pālua.